anti-hero: a central character in a story, film, or drama who lacks conventional heroic attributes. Two of Television’s current excellent female anti-heroes are Governor Joan “The Freak” Ferguson and Annalise Keating. These characters, found on Wentworth and How to Get Away with Murder, are both sinister, dominating, and morally ambiguous. Pamela Rabe and Viola Davis are both phenomenal in their respective roles. They’re deceitful, menacing, tough and, above all, clever. They never reveal everything they know- they’re manipulative to the extent that no’one, not even the audience, ever knows what their true agenda is. While Annalise’s behavior may be justified by an inherent desire for justice, Joan Ferguson’s motivations seem to stem from a sadistic appetite for power and control. Known as ‘‘the menace of quixotic tyranny”, Ferguson’s Machiavellian nature is key aspect of her complex character. The power struggle between Bea and Ferguson throughout Seasons 2 and 3 is compelling to watch, and fuels the substantial success of this program. In both shows, the complexity of these characters are apparent from their first episode, however their “back stories” are gradually revealed over time, thus allowing us perspective on their present actions. In How to Get Away with Murder, it’s not until episode 13, “Mama’s here now”, that details of Annalise’s childhood are revealed. We learn of her sexual abuse as a child, and thus are given an explanation for her strong desire to stand up for the disempowered. Ferguson’s backstory is less apparent, however we’re given hints through obscure flashbacks in episode 9 of Season 2. Such flashbacks allow the audience an interesting insight into her character by providing justification for her, previously cruel, actions. By providing insight into the previous lives of these characters, we can understand their intentions and therefore their actions. 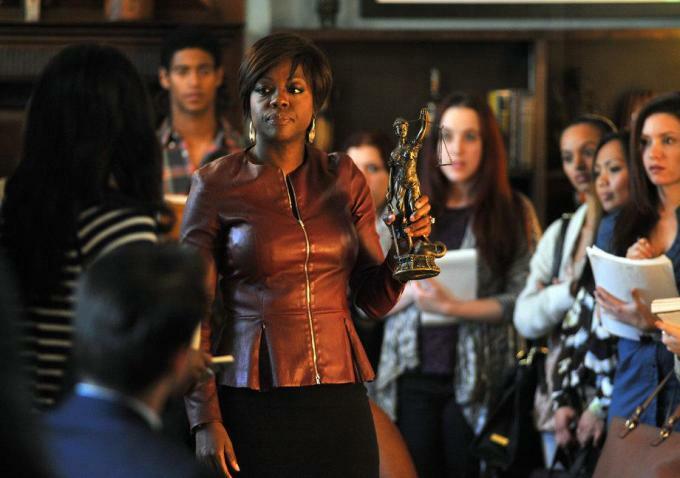 How to Get Away With Murder has just released its first season, with a second due soon. The third season of Wentworth has just come out on Foxtel. Both shows are quite good, but are differentiated by their casts. The success of HTGAWM lies solely on Viola Davis’ stunning performance, however Wentworth’s entire supporting cast shine in different ways, making this fantastic show what it is today.